Daniel is an educator with transdisciplinary interests. 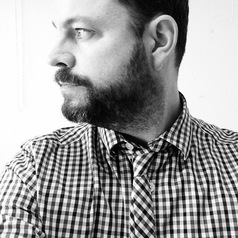 His research and practice work has explored a number of areas of communication design although a notable specialism is identity - particularly within the music industry. As a writer, he additionally contributes to a number of print/online publications while also the co-editor of Music/Video: Histories, Aesthetics, Media (Bloomsbury, 2017) and Extremity and Excess (University of Salford Press, 2012).